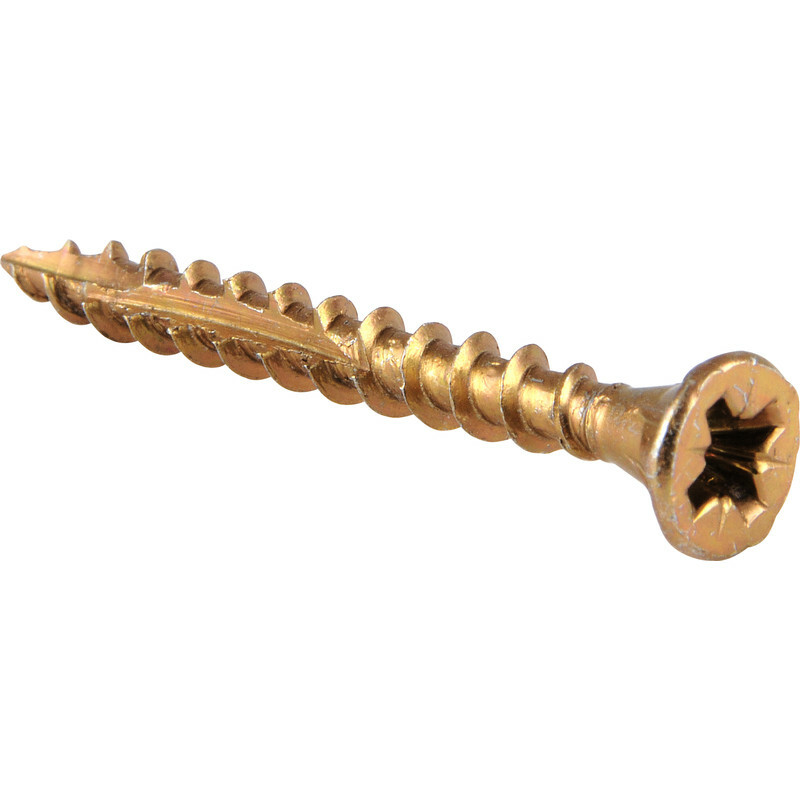 • Zinc and yellow passivated, for up to 20x more rust resistance than standard BZP screws. Reisser Cutter Pozi Screw 4.0 x 25mm (200 Pack) is rated 4.8 out of 5 by 118. Rated 5 out of 5 by Alanjs from Excellent quality screws Got quite a few different sizes of these now and they are all great quality. I mainly use an impact driver to put them in, they bite the wood instantly and they drill their own holes so are much quicker at going in. Not had one issue with using an impact driver on them either. Rated 5 out of 5 by CraigRobbo from Brilliant screw - worth the extra money I bought these on the recommendation from a joiner, and even though they’re a bit more expensive I won’t ever buy another screw again. I’ve tried silver, gold, turbodrive and god knows what else and none of them cut in as cleanly and easily as these. Brilliant. Rated 5 out of 5 by CraigRobbo from I won’t use any other screw now! I bought these on the recommendation from a joiner, and even though they’re a bit more expensive I won’t ever buy another screw again. I’ve tried silver, gold, turbodrive and god knows what else and none of them cut in as cleanly and easily as these. Brilliant. Rated 5 out of 5 by Anonymous from A perfect screw I purchased these screws to construct some smallish 12mm MDF boxes. They work a treat, no drilling or countersinking required. Rated 5 out of 5 by Mike1964 from Excellent Quality Bought for joining timber on a gate project. Very happy with quality and performance. Will always use in future. Buying cheap screws is false economy. Rated 5 out of 5 by The English Boy from A great Screw. These screws, along with Spax are the best around. If you need the best, choose these. Rated 5 out of 5 by Bamber girl from Best screws ever! Used on beech-wood, cut into the wood perfectly, no drilling required. Very satisfied. Rated 5 out of 5 by Anonymous from The perfect screw! Always happy with these screws. Not found anything better to date.